A while back we featured some of the cars of WNYer Joseph Galvin in the Sunday Buffalo magazine. 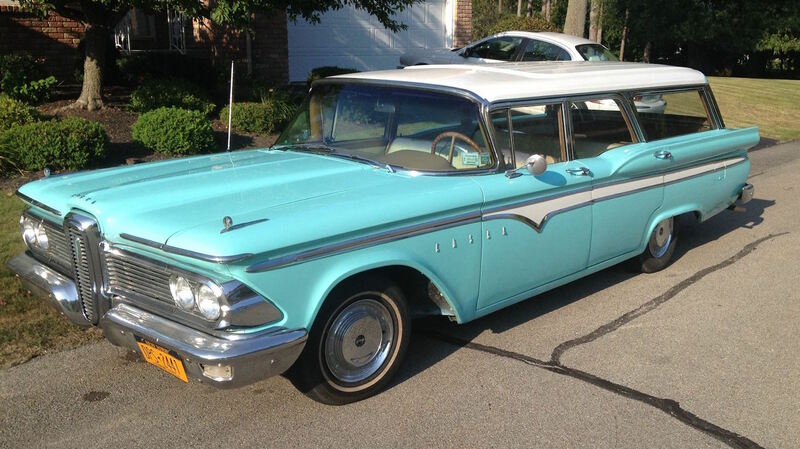 Here’s one of Joe’s former rides, a 1959 Edsel Villager. 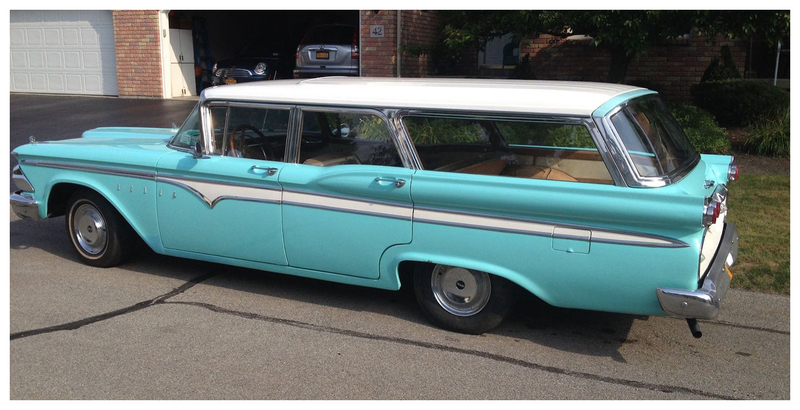 This was only Edsel’s second (and penultimate) year, and by now the wagon wasn’t much more than a slightly rebadged Ford. Apparently not many buyers liked the Edsel back in the day, but today they’re highly collectible. Edsel-killer and then-Ford president Robert McNamara’s probably rolling in his grave!